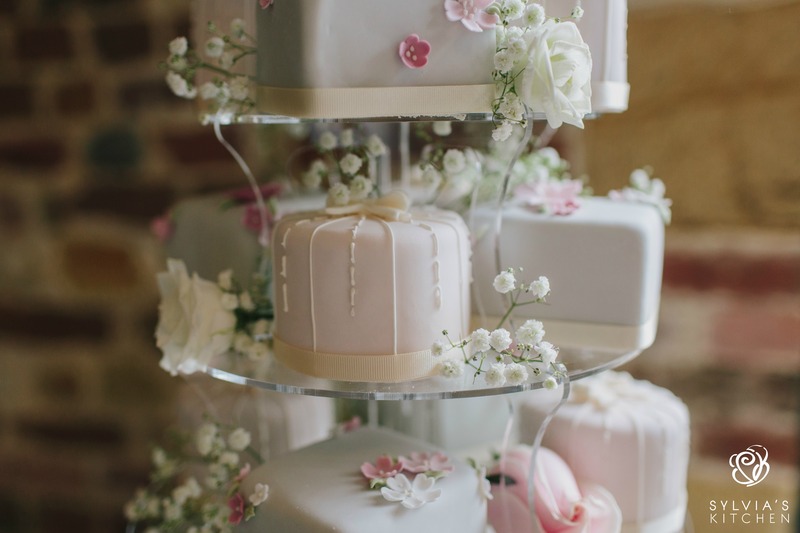 Wedding cutting cake and miniature cakes at Hendall Manor Barns, Uckfield, East Sussex. Top tier cutting cake of Madagascan vanilla sponges filled with whipped Madagascan vanilla bean paste buttercream and Raspberry conserve, iced in pale ivory and decorated with hand piped royal icing micro dots, finished with a full bloom blush pink wired sugar English tea rose. Two varieties of miniature cakes, twenty five round miniature cakes of Madagascan vanilla sponges filled with whipped Madagascan vanilla bean paste buttercream and Raspberry conserve, iced in pale blush pink and decorated with hand piped ivory royal icing line work, finished with an ivory sugar bow. Twenty five square miniature cakes of Belgian couverture chocolate sponge, filled with Belgian couverture whipped chocolate ganache, iced in very pale grey and decorated with hand made sugar blossoms and florals in white and pink with royal icing piped green foliage. 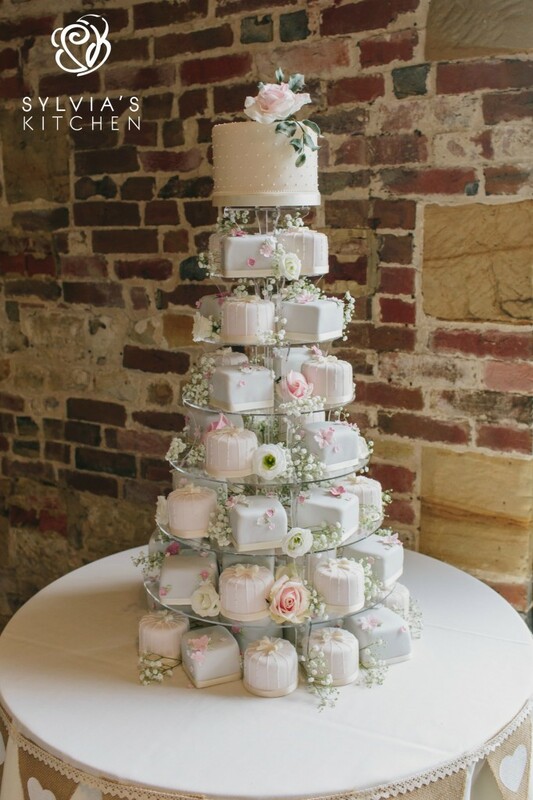 Cake display decorated with florals kindly supplied by Flowerbug Designs. Images kindly provided by Hayley Rose Photography. 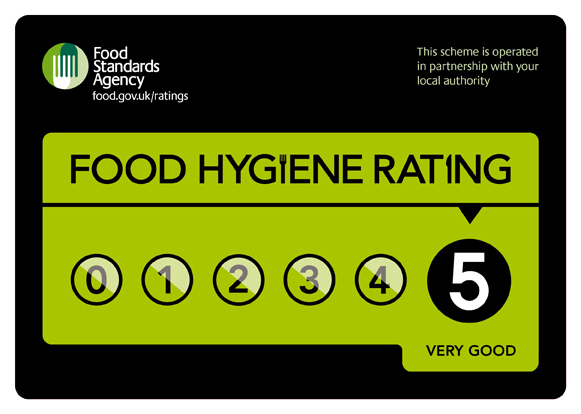 Cakes provide in total 65 portions.